Beidh roinnt cailíní agus buachaillí i ranganna a 5 agus a 6 ag glacadh páirt i gcomórtas peil gaelacha ar an Luan 11/05/15 i CLG Baile na mBocht ag a 11.30 r.n. Táimíd ag lorg cúigear tuismitheoirí chun síobanna a thabhairt. Fágaint na scoile: 10.00 r.n. Ar ais ar scoil: thart ar 2.30 i.n. Téigh i dteagmháil le Hilda más féidir leat síobanna a thabhairt. 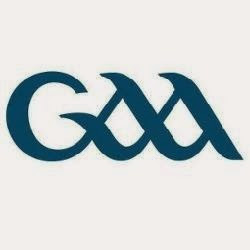 Some boys and girls from 5th and 6th will be participating in a football blitz in Mayfield GAA pitch this Monday 11/05/15 at 11.30 a.m.
We are looking for 4-5 parents to drive the players. Please contact Hilda before then if you are willing to drive.